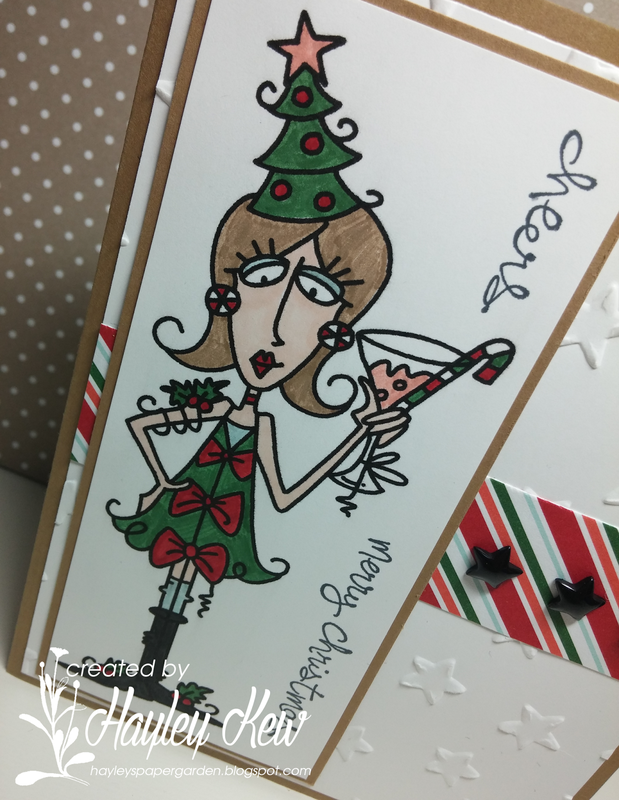 Hayley's Paper Garden: Cheers, Merry Christmas! This week we are being sponsored by talented Designers over at Bugaboo. You should really pop over and check out the fabulous images they have to share. We always have so much fun working with their delightful digitals! Once again you rock the digis! Beautiful coloring with this really cute image, Hayley! I love all the texture you created with the embossed stars, too! Awesome Christmas card! Adorable card!! Love the textured background!!! Such fun...actually, I could use a glass of *cheer* right now!